Verizon kicked off one of the more interesting promos we have seen in a while today through their Facebook page. 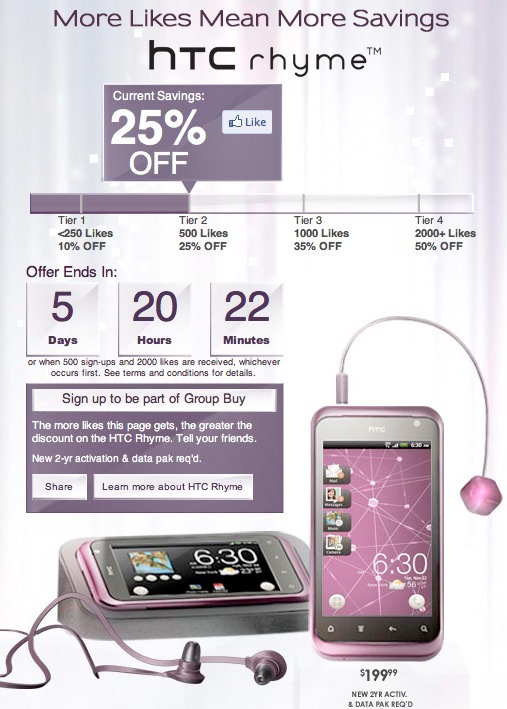 They are offering up to a 50% off discount of the HTC Rhyme depending on the number of “Likes” they receive. The deal will run for 6 days and if they land 2000+ “Likes” by then, anyone interested in the device will be able to grab it for half the normal price. They are calling it the “Group Buy.” Pretty cool idea, right?